We’d love your help. Let us know what’s wrong with this preview of Am I in the Wrong Marriage? by Sharon Pope. This question keeps whispering to us, over time getting louder and louder. It wants an answer. It wants clarity. There are some things we don’t discuss. There are some topics that are off-limits. There are some questions that go unanswered. Through these teachings you will move from stuck in indecision to relationship clarity. Once you have the clarity you need, you’ll know what your next steps look like. The core of my teaching, speaking, and coaching is based on what I refer to as Soulful Truth Telling. Without the truth, there’s nowhere to go, and there’s nothing to work with. You cannot thrive in a bed of lies, and you cannot gain real clarity while swimming in half-truths. Rather than highlighting all of our mistakes, with Soulful Truth Telling we simply become compassionately curious about how we reached this place, how we helped create our experiences within our marriages, and what those experiences are here to teach us. Rather than blaming and focusing on our partner’s shortcomings, with Soulful Truth Telling, we gently open ourselves up to forgiveness and a deeper truth. Within the context of Soulful Truth Telling, you will gain the insight you need to trust your answers for your life and to know what to do next. Once you learn these truths, you can’t un-learn them. You can’t go back to the way it was before. You can’t continue repeating the same destructive relationship patterns or painful experiences, because you know something you didn’t know before. Regardless of your decision about your marriage, you will move forward. 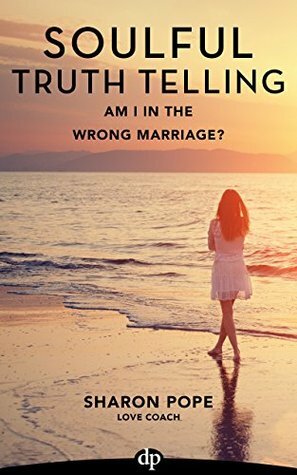 To ask other readers questions about Am I in the Wrong Marriage?, please sign up. Be the first to ask a question about Am I in the Wrong Marriage?